Here I used BP-17 plate I bought from Aliexpress and also available on BornPrettyStore. 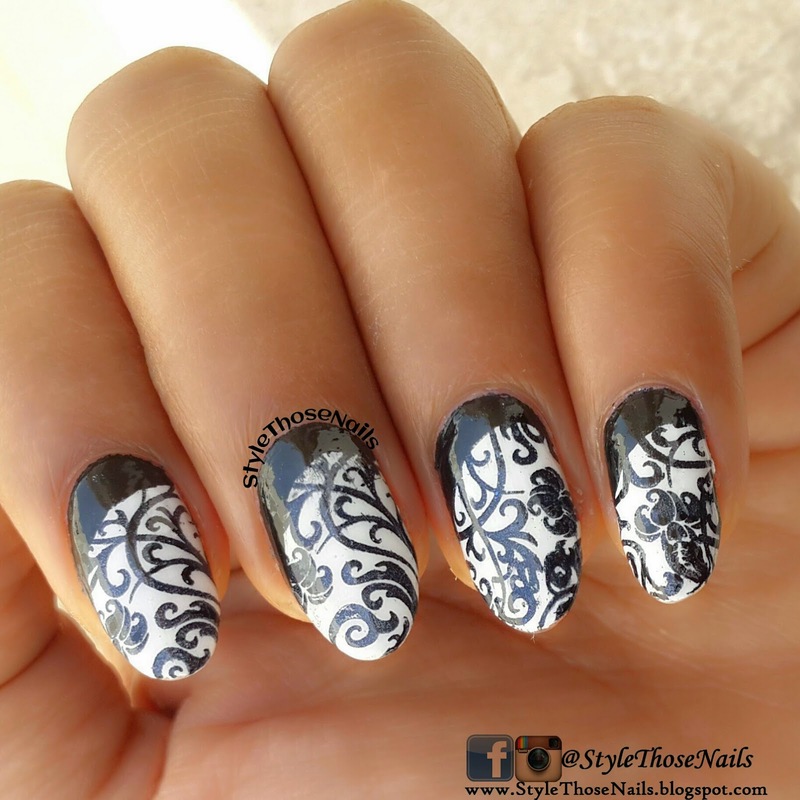 First I stamped the whole design on white base and then painted the crescent shape with black nailpolish. I tried to tilt the shape to one side and thus this mani is a variation of traditional ruffian nailart where you draw crescent shape along the cuticle line. Hope you like it if you recreate post with #lookSTN and tag me on your social media.